INDIANAPOLIS, Ind. 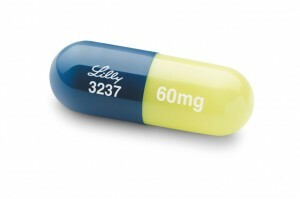 — Eli Lilly and Company (NYSE: LLY) announced that the U.S. Food and Drug Administration (FDA) has approved Cymbalta (duloxetine HCl) for the management of chronic musculoskeletal pain. This has been established in studies in patients with chronic low back pain and chronic pain due to osteoarthritis. This is the fifth indication the FDA has approved for Cymbalta. Cymbalta, which has been shown to significantly reduce chronic low back pain and chronic pain due to osteoarthritis, is a non-narcotic pain reliever that is meant to be taken once a day, every day by people with these pain conditions. “People with chronic musculoskeletal pain often struggle to find a medication that works for them. The approval of Cymbalta for chronic musculoskeletal pain by the FDA gives doctors another option to help an underserved and suffering group of patients,” said Michael Clark, M.D., MPH, director, Chronic Pain Treatment Program, Department of Psychiatry and Behavioral Sciences, The Johns Hopkins Medical Institutions. Although the exact way that Cymbalta works to reduce chronic musculoskeletal pain is unknown, it is believed that Cymbalta helps lessen pain by enhancing the body’s natural pain suppressing system by increasing the activity of serotonin and norepinephrine in the brain and spinal cord. In chronic musculoskeletal pain clinical studies, the most commonly observed adverse events (those occurring in at least 5 percent of study participants taking Cymbalta and at least twice the rate of placebo) in Cymbalta-treated patients with chronic low back pain were nausea, dry mouth, insomnia, sleepiness, constipation, dizziness and fatigue. The most commonly observed adverse events in Cymbalta-treated patients with chronic pain due to osteoarthritis were nausea, fatigue and constipation. “Having a medication that is approved specifically for people with chronic musculoskeletal pain is a great step in helping these individuals live with less chronic low back pain or chronic pain due to osteoarthritis. Good medical care from a health care professional and involvement by the person with the condition is important,” said Penney Cowan, executive director, American Chronic Pain Association. Serotonin and norepinephrine in the brain and spinal cord are believed to both mediate core mood symptoms and help regulate the perception of pain. Although the exact way that Cymbalta works in people is unknown, it is believed to be related to an increase in the activity of serotonin and norepinephrine, two naturally occurring substances in the brain and spinal cord. Cymbalta is approved in the United States for the treatment of major depressive disorder, the treatment of generalized anxiety disorder, the management of diabetic peripheral neuropathic pain, fibromyalgia and chronic musculoskeletal pain, which has been established in studies in patients with chronic low back pain and chronic pain due to osteoarthritis, all in adults (18+). Cymbalta is not approved for use in pediatric patients. Cymbalta is approved to treat major depressive disorder and generalized anxiety disorder, and to manage diabetic peripheral neuropathic pain and fibromyalgia. Cymbalta is also approved for the management of chronic musculoskeletal pain including chronic osteoarthritis pain and chronic low back pain. (i) Lawrence RC, et al. Arthr Rheum. 2008.58(1):26-35. (ii) Andersson GBJ. Lancet. 1999;354:581-585. (iii) Burton AK et al. European Guidelines for Prevention of Low Back Pain. www.backpaineurope.org. 2004:1-53. (iv) Freburger JK, et al. Arch Int Med. 2009; 169(3):251-258. (v) Klenerman L, et al. Spine. 1995; 20(4):478-484. (vi) Van Den Hoogen HJM, et al. Ann Rheum Dis. 1998; 57:13-19.